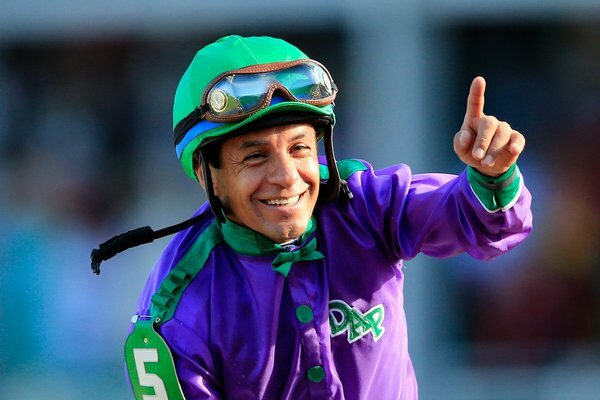 Victor Espinoza’s Derby win will give hope to children with cancer. The jockey donates 10% of his earnings to charity. As if California Chrome’s Derby win wasn’t a good enough story . . . Victor Espinoza, who piloted the colt to victory, donates 10 percent of all his earnings to the City of Hope, a charity that benefits children who have cancer. How much does a jockey earn? Most jockeys are paid a small amount per ride and then 10% of the prize money. As the jockey of the Kentucky Derby winner, Espinoza will make about $144,280 since the purse or winning is $1,442,800 (I’ve seen other reports that it’s 1,200,00, but will go with the higher number). He may also get bonuses and endorsement offers from advertisers and sponsors. But jockeys have expenses too. 25% of the purse will go to his agent, who is responsible for picking and negotiating his ride. At least another 5% goes to his valet, the person who gets his gear in place. That leaves about $100,00 for Espinoza . . . and probably $10,000 for the children at the City of Hope. Liz, after reading this inspiring info on Victor Spinoza, who is a horseman without an unlimited “disposable income,” I just want to pray that California Chrome (Beach Boys, Surfers, Endless Summer memories of the carefree 60’s/70’s) is the next Triple Crown Champion. I sobbed when Wicked Strong lost, by the way. And as a pediatric nurse, I see the children whose time on Earth is limited and how precious health is. I agree, I like California Chrome anyway (am partial to chestnuts, as you know!) but Victor Espinoza’s generosity and compassion makes me want to root him on for the next two races all the more.